Run energy contains guarana fruits that enhance athletic performance as a stimulant to reduce mental and physical fatigue. Guarana fruit, whose seeds are used as medicine is also good for weight loss sessions. Other essential uses include treating low blood pressure, preventing malaria and treatment of diarrhea, fever, heart problems, headache and joint pains. With the above-mentioned benefits, Run Energy Drink is the perfect go-to drink in times for fatigue or workout sessions. 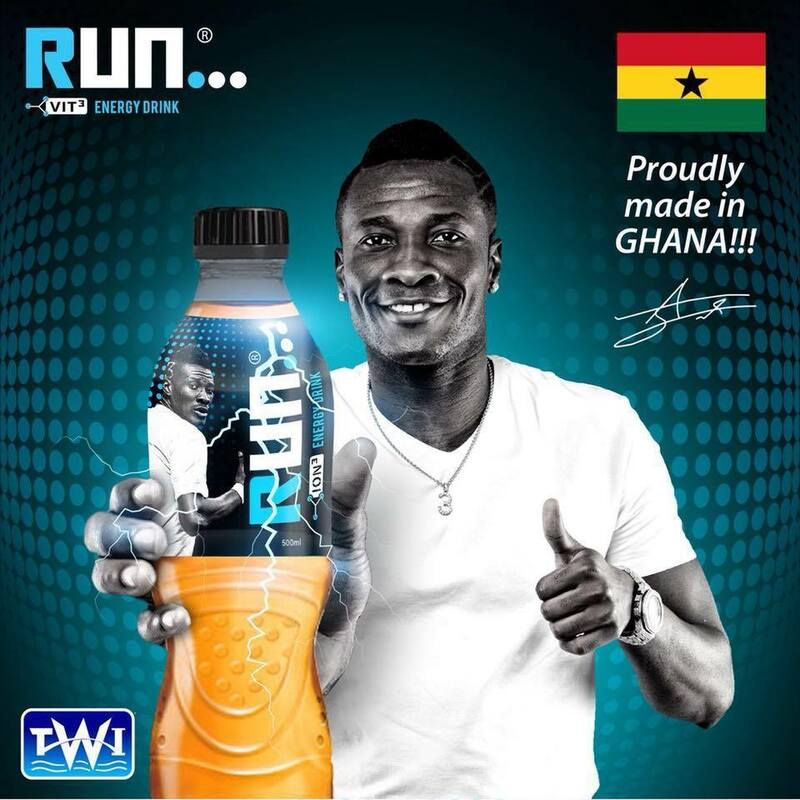 Twellium Industrial Company, as part of appreciating Asamoah Gyan’s contribution to Ghana have honoured the former Al Ain star in a special way; the face and brand ambassador for their new product, Run Energy Drink.